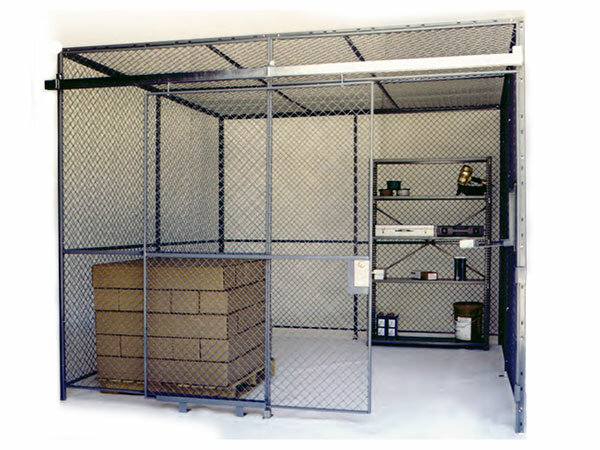 These complete 2 sided wire enclosures contain everything you need to create a handy tool room, valuable parts storage, hazardous or delicate machinery enclosures, data center enclosure or any other location where security is integral. 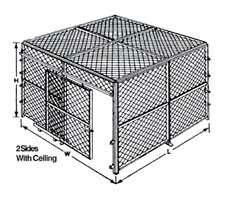 Composed of a tough 10-gauge, 1-1/2" diamond wire and framed in steel channel, these cages are a quick and easy way to make a secure partitioned space in your warehouse. 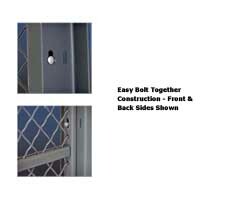 Each room has 5' sliding door with cylinder lock. 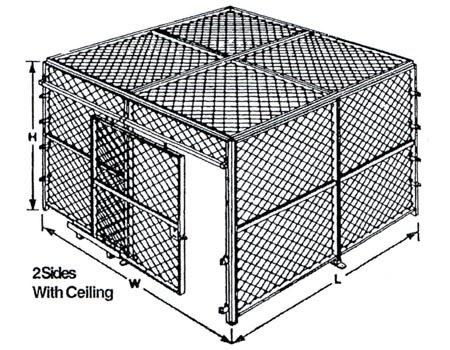 All parts and hardware are included for complete assembly. 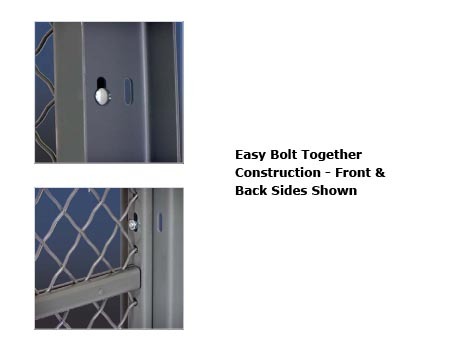 Includes: bolt-together hardware, floor shoes and top capping. 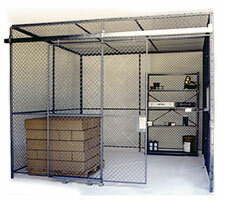 Create a secure storage environment inside your warehouse with 2-sided preconfigured cages.